Having grown the membership to over 150 last season, the sign-up for 2016 Kids Club was looking a challenging prospect for our admin crew! 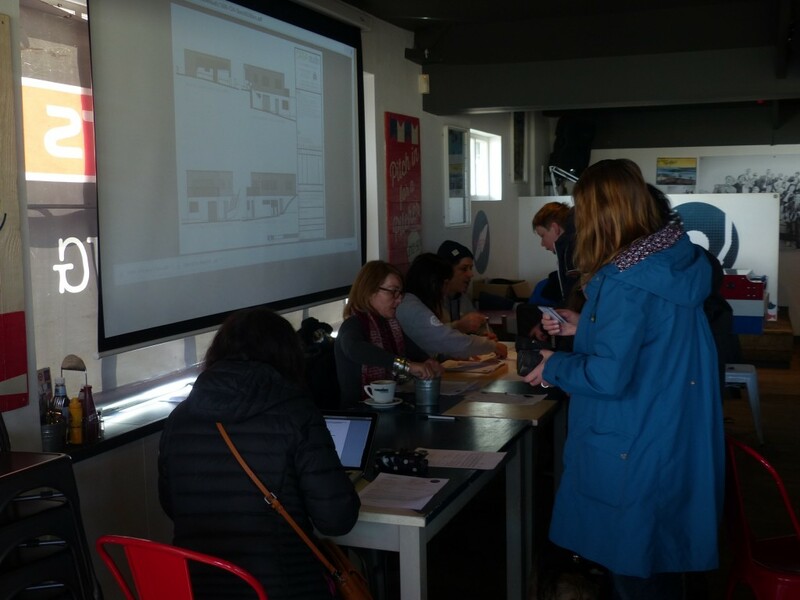 Fortunately we had an ace in Flavio who organised an online membership form to be followed by a supplementary visit to The Balcony for the parental consent signatures and payment, enabling us to smoothly process over a hundred renewals on the morning of Saturday 16th April. 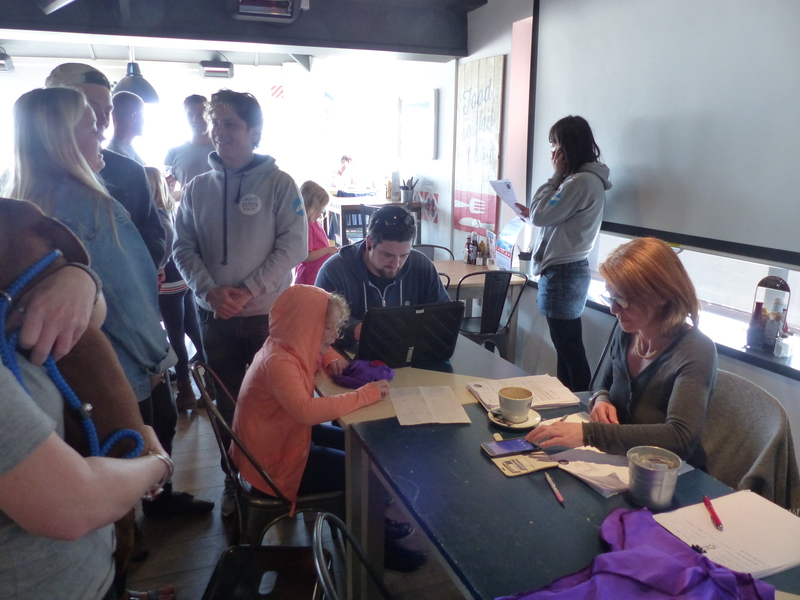 The next Saturday morning was open to new members until we reached what may be our capacity for this summer. Our apologies to the dozen or so attendees who only made the reserve list – if any vacancies arise then we’ll get back to you! We were also able to announce our aim of building a home for the club, and were delighted to show the plans on the big screen and have the committee members explain the detail of how we might go about it. Our heartfelt thanks go to Christian Simmons for this original design! 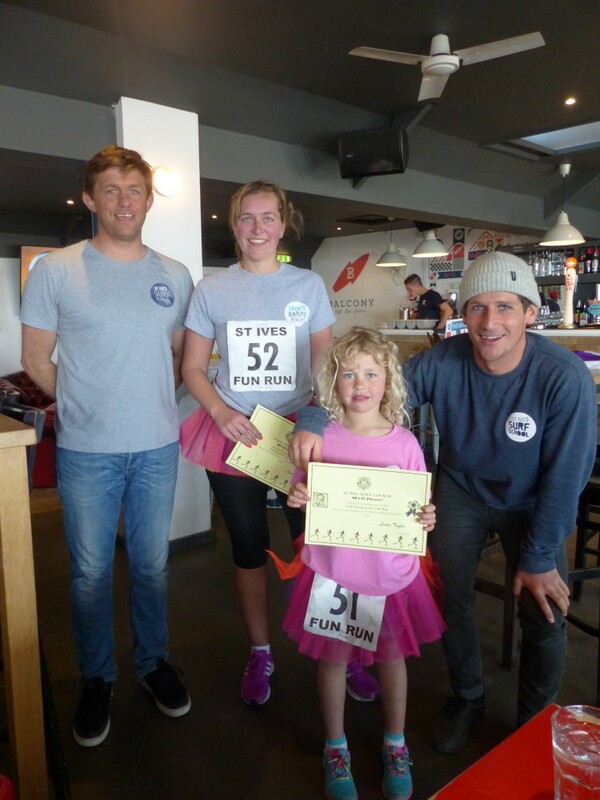 One late arrival on sign-up day was Grace Harry, who had just completed the Lelant to St. Ives Fun Run with her mum. Their effort earned them £50 from their sponsors and we were delighted to learn that Saints Boardriders Club would be the beneficiary! Many thanks, and perhaps they have shown us one fund-raising route we could follow to get that clubhouse built! The next date for the diary is 7.30 on the evening of 10th of May when the AGM will be held at Tregenna Castle. Anyone interested in Saints Boardriders is welcome to attend, though only paid-up members can vote. See you there. It’s been a fantastic winter of surfing and now it’s time to get your frothing groms back in the sea!